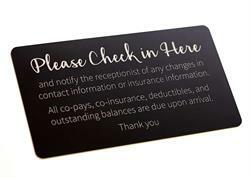 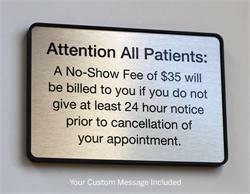 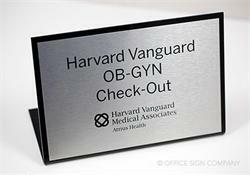 Laser engraved 6"W x 2"H co-pay insurance signs are a low profile option for posting general information on the front of your reception desk, check-in window or on a wall nearby in the waiting area of your hospital or clinic. 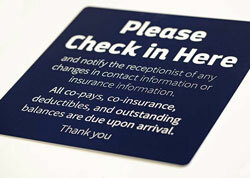 Choose from a variety of color options for a sign that matches the decor of your medical facility. 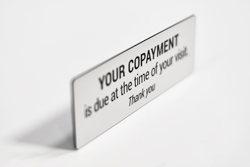 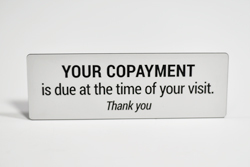 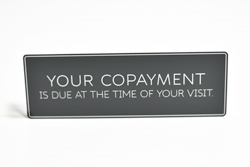 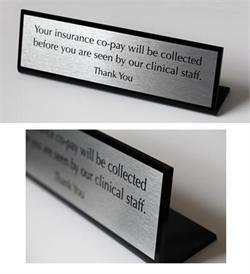 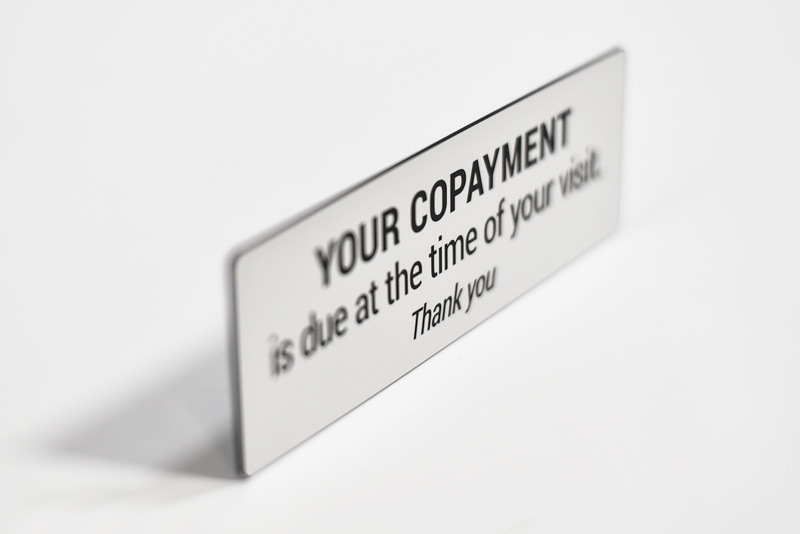 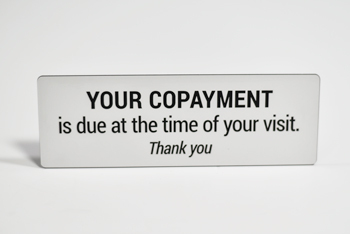 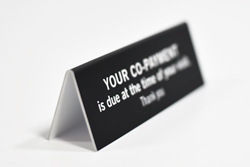 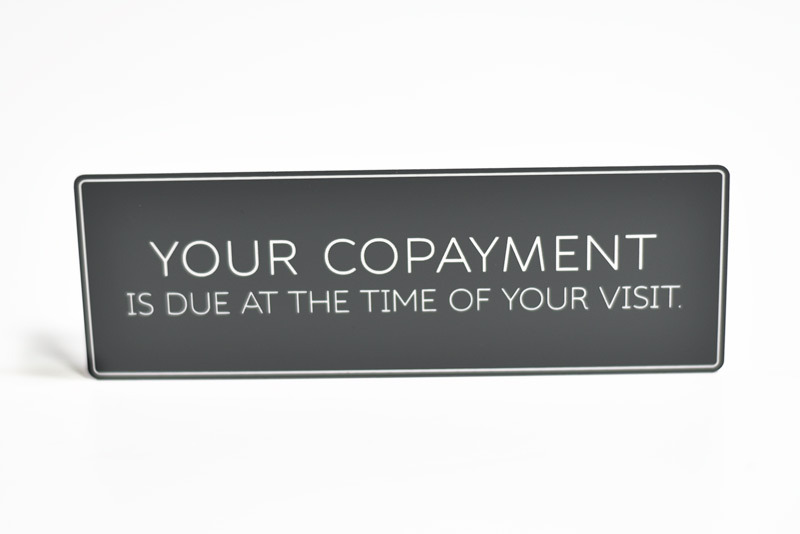 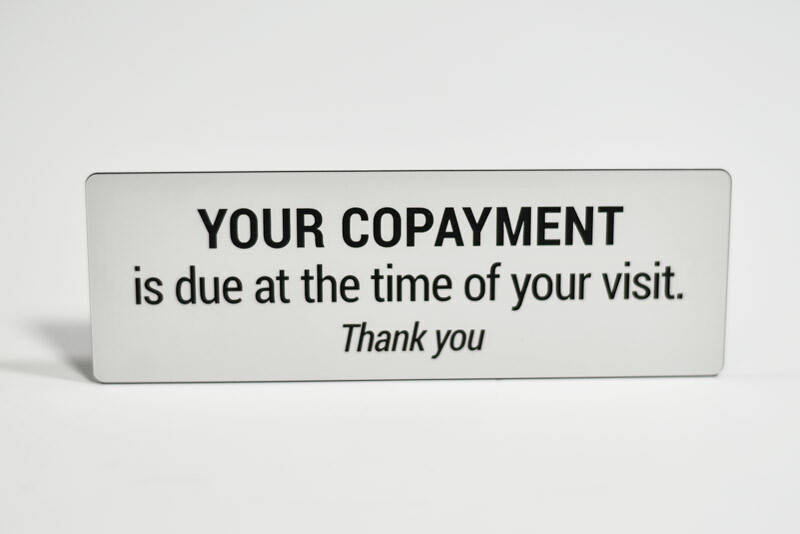 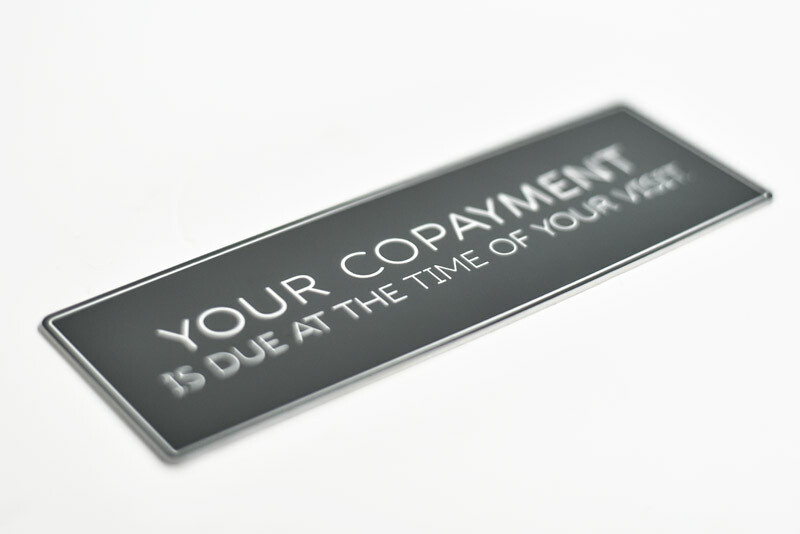 Standard laser engraved text reads "YOUR COPAYMENT IS DUE AT THE TIME OF YOUR VISIT" or you can create your own custom text that suits the needs of your medical practice.